I remember when I first traveled to Taipei. Having said goodbye to my family back in the Czech Republic, I had my entire world packed into a 20-kilogram suitcase. Stepping out of plane in Taipei, I had no idea whether I would enjoy or at least get used to living in Taiwan. Taipei seemed hard in terms of orientation, with its monotonous urban landscape of grey buildings and busy streets. It also felt like everyone in Taiwan drives a scooter! Everything was new and exciting, and very different. Before I knew it, this place far away from my own country felt like home. After spending two years in this incredible place, I have decided to write this post to give you an insider view of living in Taiwan. Blog should be more than a suitable place for this. 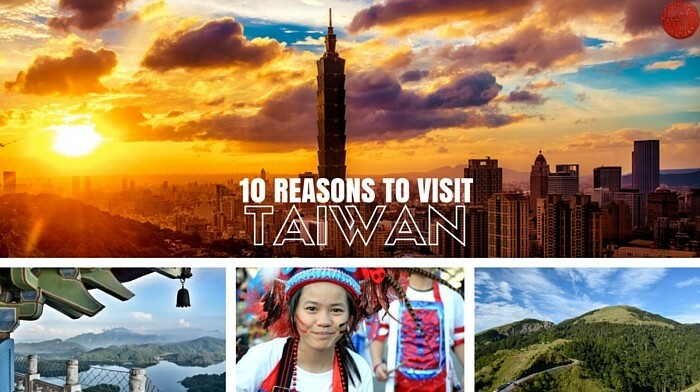 PS: Check my other post 10 Reasons Why You Should Visit Taiwan. 15| Everyone is so friendly! 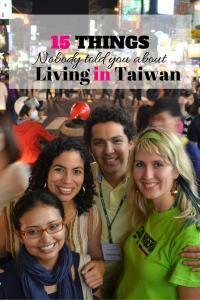 WHAT SURPRISED YOU ABOUT LIVING IN TAIWAN? 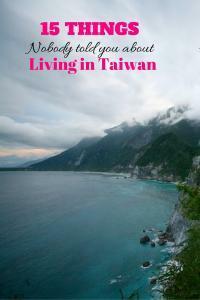 Moving to Taiwan is a big step, no matter whether you are doing it for travel, work or study. You should have a valid passport (which is not expiring in the next 6 months), visa and enough money for the beginning. Most foreigners wanted to move to Taiwan in order to find a teaching job, which of course never happens overnight. So be prepared. You should get ready for a long international travel: most of the times, I had two or three stopovers before reaching Taipei. There are few world destinations such a London or Vienna which offer direct flights to Taipei, but the price is of course higher. I recommend you Kiwi.com, my favorite tools for searching for the cheapest flights. 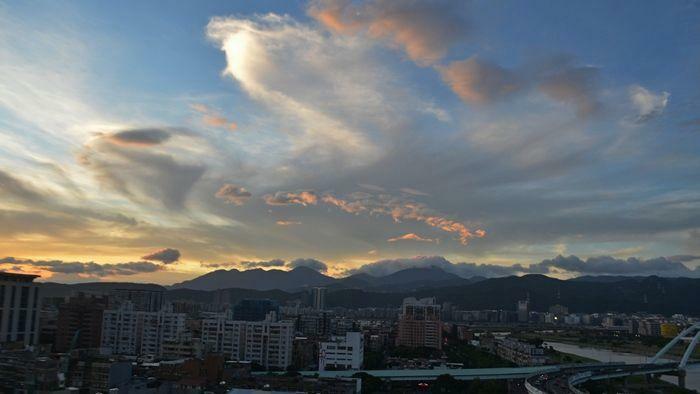 Another thing you should arrange is the accommodation for your first days in Taipei. You will probably arrive pretty tired and you might be affected by the heat and humidity in Taipei (especially in summer). It is a good idea to book a place to stay and recover from a Jetlag. 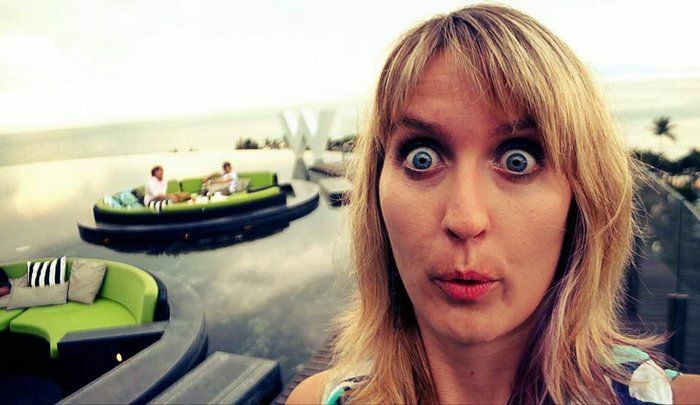 I have written a post about the best hostels in Taipei, which should shave you covered. One of the things that worried me before moving to Taiwan was, of course, the living cost in Taiwan. Of course, various people have various needs and so the standards of living in Taiwan can be very different. It is good to know that Taipei is much cheaper than other big cities in East Asia including Japan, Soul, Singapore and Hong Kong. I have spent one semester in Hong Kong before and it was a relief to find out that in Taipei the money goes a much longer way. As a foreign student entitled the scholarship and not having had to pay for the university fees, I was dealing with a budget of 30 000 NTD for a month, which is about 980 USD. This money was more than enough to cover my living costs in Taiwan including the dorm, food and some smaller trips around Taiwan, too. 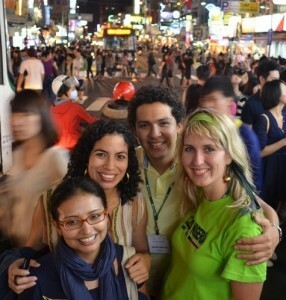 Most foreigners move to Taipei, but it is good to know that outside the capital the cost of living is much lower. 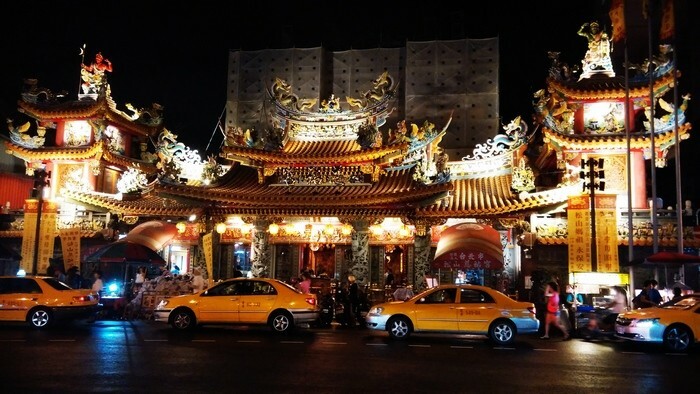 By staying for example in Kaohsiung, one can save much money especially when it comes to accommodation. The lifestyle in Taiwan is much likely very different to what you are used to. 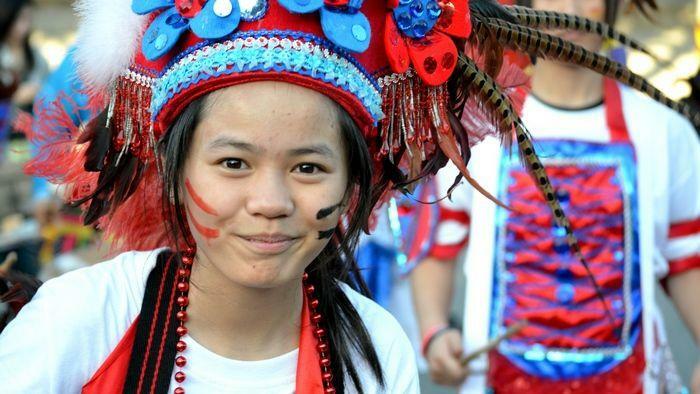 You will experience something new and you will be free to choose your personal Taiwan lifestyle. Sometimes it is much easier to start a new chapter, without the influences and expectations of your family. Taiwanese people are very friendly, and in many aspects also pretty special:} After two years of living in Taiwan, I have a lot to say about the way people live here. Some of them are cool (food! ), some interesting, and others just purely weird. Ordering food can be quite confusing when you’ve just started your Taiwan trip. The meals are usually listed in Chinese only, and guests are asked to pay first. Once you get used to it, you learn two advantages of this system: First, you know how much the stuff costs from the very beginning. Second, you can leave anytime without the necessity of waiting for the bill to be issued. Quite convenient, huh? In order to keep the streets clean and cockroach-free, there are few trash cans placed in the streets. If you decide to get rid of any trash, you will probably have to carry it to the nearest metro station, or even to your home. One of my teachers told me that when she was younger, she remembers how the sidewalks were covered in rotting garbage. It was disgusting, and there were rats everywhere. So apparently, a lack of trash cans is actually a move to a cleaner city. It’s not practical, but it simply works! 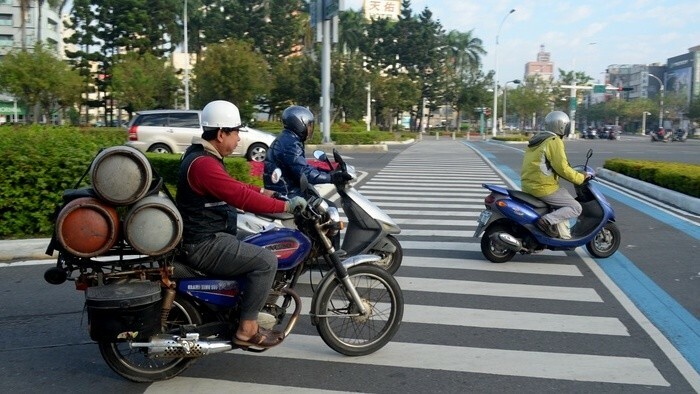 Taiwan is the land of scooters, with more motorbikes per capita than anywhere else in the world. Sometimes you can see a whole family on scooter (I’m talking about 4 to 5 members, including the dog!). If you want to ride scooter in Taiwan, I recommend doing it in the countryside or on small offshore islands. In the cities, the fun is spoiled by heavy traffic. A driving license is easy to get and people don’t strictly follow road rules (some of them don’t even know what they are!). Living in Taipei, I witnessed accidents on nearly a daily basis. Living in Taiwan, you have to accept that garbage is a big deal. The garbage from households should be disposed of in city-approved trash bags. Garbage trucks drive through every neighborhood five times a week and residents carry their bags of trash down and put them into the trucks themselves. Waiting for the garbage truck is one of Taiwan’s liveliest communal rites. Many people go out earlier to have a chat with their neighbors until they hear the unmistakable song being played loudly by the truck: Beethoven’s Fur Elise. What a fancy song for this kind of situation! Located at the junction of two tectonic plates, Taiwan is one of the most tectonically active regions in the world. The Central Weather Bureau reports as many as 1,047 earthquakes per year that are perceivable (and over 18,000 per year if we include ones that are not perceivable). Many buildings are built to rock with the earth to withstand powerful typhoon winds and earthquake tremors, including Taipei 101, Taiwan’s tallest building and once the tallest building in the world. Taiwan is one of the few places in the world where people actively search for an owner of an item they have found. Not only will they not keep it, but they will really take the initiative to return it to its original owner. The very first week I was in Taiwan, I forgot my bag, which contained my wallet and mobile, at a public event. Soon after, a stranger started dialing numbers saved in my phone until he figured out who it belonged to. By the time I reached my flat, an email was in my inbox stating, “Please come to pick up your bag!” I couldn’t believe this! The Taiwanese are normally very shy, so it took me by surprise that this doesn’t apply to public singing. Karaoke is one of the most popular social activities; some of my local friends would go out for karaoke at least once per week (as often as my European friend would go clubbing)! Karaoke bars look a bit like 5-star hotels, with a reception area and private rooms. 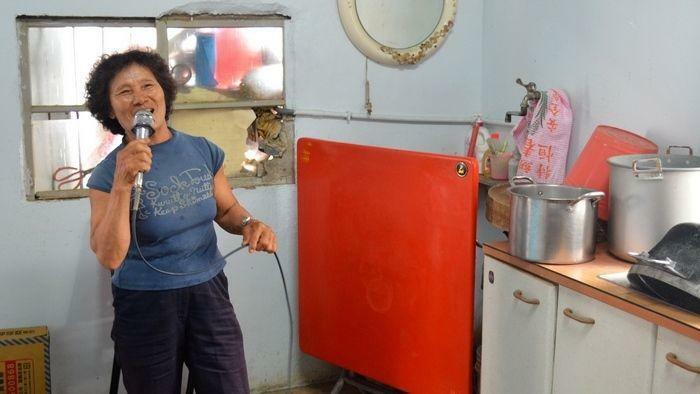 Many people also have KTV at home, including some of the smallest villages in the south of Taiwan. It is impossible to overlook this: people in Taiwan often wear face masks in public. It feels really weird at first, but they actually do it out of courtesy. The Taiwanese wear masks in public to let people now that they are sick or have a cold. Although the masks are unlikely so prevent any diseases, they function as a gentle sign of caution. This was always the most confusing thing to me about people in Taiwan: their disability to say a clear and direct “no”. If you call a friend, asking whether she would like to go to the cinema later, and she responds: Eh…Maybe? Then what she really means to say is “No“. Taiwanese consider saying “No” directly as impolite. At times, they even say “Yes” when they actually mean “Yes, I understand” – and despite the fact that they understand you, they still mean “No”. Make sense? A Taiwanese 7-Eleven is one of the most convenient places on the planet; you can get train tickets, pay you school tuition, ship packages, print documents, call taxi, and so much more. Once I asked if I could leave my gigantic backpack there for a few hours, and it actually worked! Yay! Taiwan is a true food paradise. Even the smallest stall in the street, which has no proper seating besides a couple of plastic chairs, may serve you the most delicious meal. When you ask to have it taken away, you will get it in a neatly prepared disposable paper box without questions. 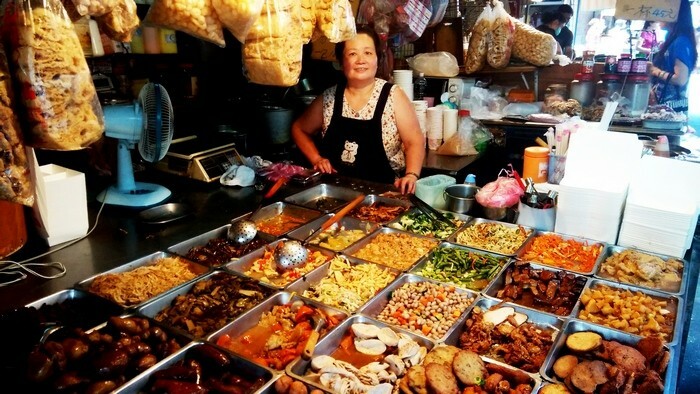 The best place to sample Taiwan’s famous street fare is one of the many famous night markets in Taipei or just about any city across the island. For a cheap price you get to try some of the best snacks and discover one of the biggest passions of Taiwanese people: their food. Although Taiwan is quite hot, subtropical country, the winter months can be rather damp and chilly. With the high humidity, one can feel colder than what the temperature actually indicates (Taipei gets as cold as 8 °C, but may feel as uncomfortable as below zero). With local houses not having any indoor heating, you may find yourself shivering in your own home. My place (luckily) had air conditioning that included a heater mode; some of my friends didn’t have this and often complained about the cold. It’s funny that when I mentioned this to local people they always replied: But you have freezing winters in Europe, you should be used to it! The Taiwanese are incredibly superstitious. It is fairly normal to believe in ghosts (! ), and also to be afraid of them. In the seventh month of Taiwan’s lunar calendar (that is, around August) the Hungry Ghost Festival is celebrated. Creepy, isn’t it? During this festival, it is believed that the gates of hell are opened and all of the hungry ghosts are released to the world in search of food, money, entertainment, and what not. The whole month, referred to as “ghost month”, is comes with various precautions and prohibitions. Taiwanese try to avoid travelling, starting a new business, or having a wedding. Let´s be honest: foreign visitors may find this to be one of the most disturbing habits in Taiwan. You will notice signs instructing you not to throw the paper into the toilet. You are supposed to put it into the trash can beside the toilet instead. People generally say that the plumbing cannot handle the toilet paper because it will clog the pipes. I guess there is no need to mention the smell that remains when used tissues are left sitting in the bins all day. Oh, and don’t be surprised to find that many public toilets are “Squatty Potties”. Taiwanese people are the friendliest people I have ever met. They are really welcoming, and always offer you help when they see you lost and struggling with a map. Sometimes, they will even personally guide you to where you want to go (even though they often don’t even know exactly where you want to go). You might still be lost, but in the best company! I wonder what kinds of interesting experiences you had living in Taiwan. What surprised you? What did you consider the most interesting or the weirdest? 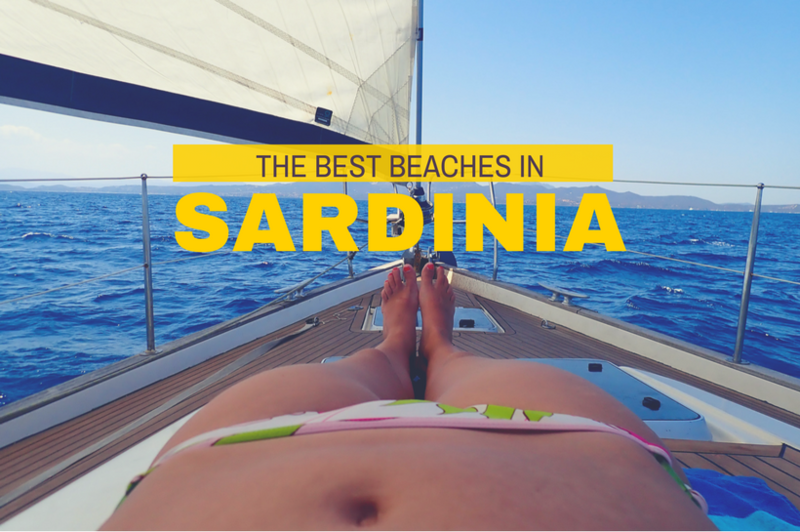 If you enjoyed this article, don’t forget to also like my Facebook page! Thanks! Hi Till, thanks for reminding Stinky Tofu. Is it really your favorite? I can’t imagine eating it often. I think food is anyway big topic in Taiwan (I feel like having onion pancake right now! ), but since I also saw/smelled stinky tofu in Hong Kong a lot, I do not consider it “only Taiwanese” thing. It can be different for everyone. Thanks a lot for your support. 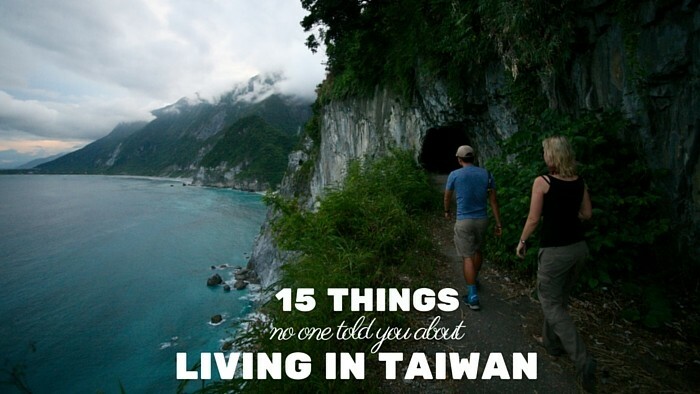 One of my best friends live in Taiwan and I’m sure she would agree with everything you listed. She leaves her bag out in the open when clubbing and nothing ever gets lost. Laughing at the Beethoven playing garbage trucks. Yep, Taiwan is the safest place on the planet! Very interesting post! I loved it, especially since I’ve never been anywhere in Asia. I always wondered why do Orientals wear masks on the streets (they wear them when they travel as well, not only in Taiwan). Not saying “NO” would be very confusing indeed. It’s a remnant of SARS outbreak in 2003. Feeling SARS was highly contagious and lethal, people decided to wear masks to protect themselves, especially when they went to places they considered to be of high risk, such as public transportation, hospitals, cinemas, etc. After the outbreak, people keep the habits and started wearing masks when they have a cold. Well, I know about SARS, but it’s clear that that kind of mask that people wear so often can not stop this kind of illness! Well…we wear it to protect others around us and this is the main reason. But u can say it’s bc of the courtesy as well. Because I didn’t feel like wearing mask while I’m sick sometimes, and I could literally feel people looking at me with anger on the metro. Hi Jess, yes I think wearing a mask is the good thing to do when you are sick! People in Taiwan always surprise me how nice they are. Simply unbelievable! 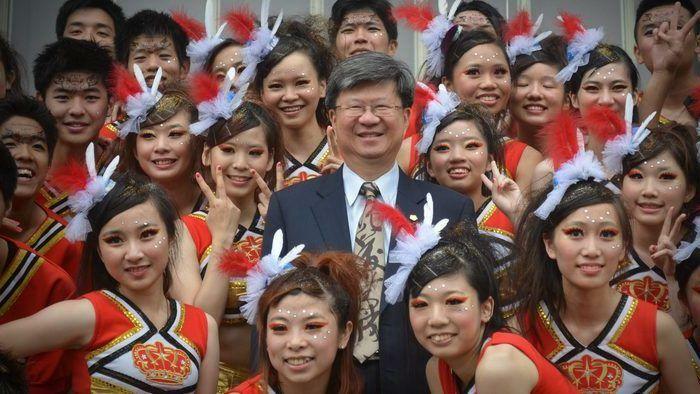 What a lovely insight into life in Taiwan. It’s great that they have addressed the ‘streets of garbage’ issue by removing trash cans – I would much rather take my trash home than be sharing the pavements with rats and cockroaches! And I can identify with the scooter thing having spent time in Vietnam – isn’t it amazing the number of people and things that can fit onto one scooter! It’s practically an art form! Haha! True! Although traffic in Taiwan is not crazy like in Vietnam! Wow, garbage trucks in Canada also play classical music! I had no idea! Great article I was surprised at several of your points, the only time we have been there was just a stop over on a flight. If we go back we will have to go during “ghost month” my son would absolutely love it! I like a lot of your points, the garbage trucks playing Beethoven that is awesome, in Otavalo their garbage trucks also played music to let the people know that they were coming. The street food looks fabulous, I love street food that photos make my mouth water. I don’t know that you’re completely correct with numbers 1 and 2. Even at most noodle/dumpling shops, I pay after finishing just as often as when ordering. It is not always the case, but hardly a-typical. For number 2, it is true in many places outside of Taipei City. In the city, just look for a bus stop or an MRT station and you will find a trash and recycling container. Number 14 is kind of a holdover from the past (and true in most parts of the developing world). I remember quite some time ago that the city of Taipei government actually did a campaign telling people that in most buildings it was perfectly fine to flush TP. It never stuck and maybe they gave up. The plumbing in Taipei has big enough collection spots for TP to liquefy and it is OK to flush. Few people either know or trust that though. I think the one that is most on the nose is the 7-11 factoid. 7-11 (and other such stores) are incredibly useful for so many things. One that she doesn’t mention that still makes me shake my head is that you can’t use your debit card to pay in most places. Even 20 years ago in Canada, everywhere took debit cards, yet it hasn’t happened here yet. We do have the convenience of the Easy Card though, which makes up for it somewhat. Hi Darren, thanks a lot for your response. With the trash cans, actually compared to my country, it is very hard to find trash can in the street. You mentioned some places where it is, and you are right, but arriving from Czech rep, where we ave one on every corner, I had hard time searching for one. Further, you also propose the debit card problem – I could not agree more! Not only one can not use it in Taiwan, it does not work so well with withdrawing abroad either…one needs special 4 digits pin. Hassle! Oh I hadto idea Hungry Ghost Festival was also a big thing in Singapore! Well most winters are not that cold. But there isn’t anything better that having your flat with nice temperature. Wow! I learned a few things about Taiwan. I’ve never been, but just curious, do you think the person that found your wallet was a fluke, or is that typical of the Taiwanese people? Acually, more people experienced loosing things and having them returned. Seems that Taiwanese people would not keep other people’s stuff. And true about the lack of bins, but I learned along the way to save plastic bags and to always keep one in my pocket. There are so many things that makes Taiwan awesome. I stayed for 5 weeks for Mandarin classes and to travel a bit around the island. 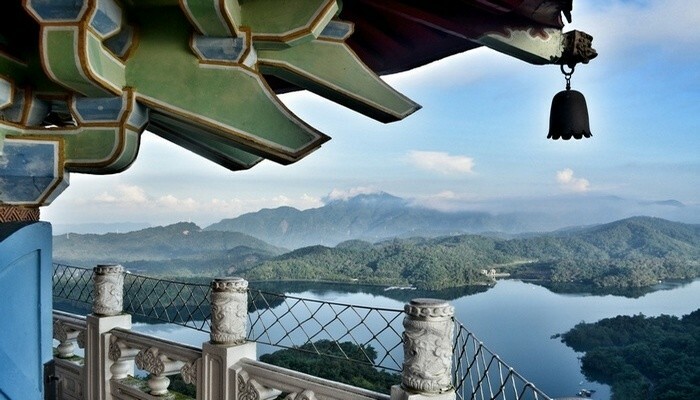 You should come back one day – Taiwan is just too good to leave! I could agree on it all except the part relating to the “best street food in Asia”. Been living in Taiwan for a decade and if there is something that is absolute crap (quality, hygiene, environment, ingredients, safety) that is food. It’s true there is a lot and that’s cheap. But A) It’s served in plastic stuff (some of that plastic is melamine contaminated (it’s on the news all the time); B) Taiwan flooded in food scandals, ranging from cooking oils (those they use to fry the “delicious food”) to the plastic bottles of the energy drinks, to alcohol etc. C) It’s true you don’t see many cockroaches in the streets. They all reside in the street restaurants where you eat your stuff for 100 NTD. Kitchens, storage areas etc. Does it taste good? Some yes, some not. In doubt, i skip on it. That’s how i kept healthy for so long. But don’t worry, if you’re a tourist you’ll survive. Apart from that, Thailand has better food, in my honest opinion (And it’s cleaner). Couldn’t agree more. 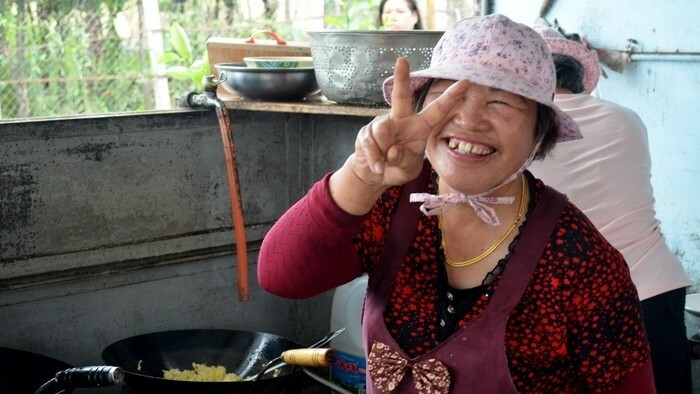 I’ve had s huge transition I feeling about Taiwanese street food… from loving it to hating it. When the two most important things for a buyer is the price and taste, quality and safety get forgotten. There’s a reason Taiwan has super high cancer rates… people often eat out and eat stuff I wouldn’t really call food now I know better. Tasty? Absolutely. Healthy? No way. I’m a Taiwanese, I know why people wear mask often! Not only because telling people they are sick, but also avoid the dirty air(especially when riding scooter,i ride scooter and I wear it!). Or some girls hate showing their face without make up,they had mask cover their face. And in winter,sometimes we have strong and cold wind,especially those towns near the sea(like my hometwon,my mother usually wear mask in winter! ), people wear mask to keep face warm or avoid the strong wind attacking their nose, or they’ll have running nose! 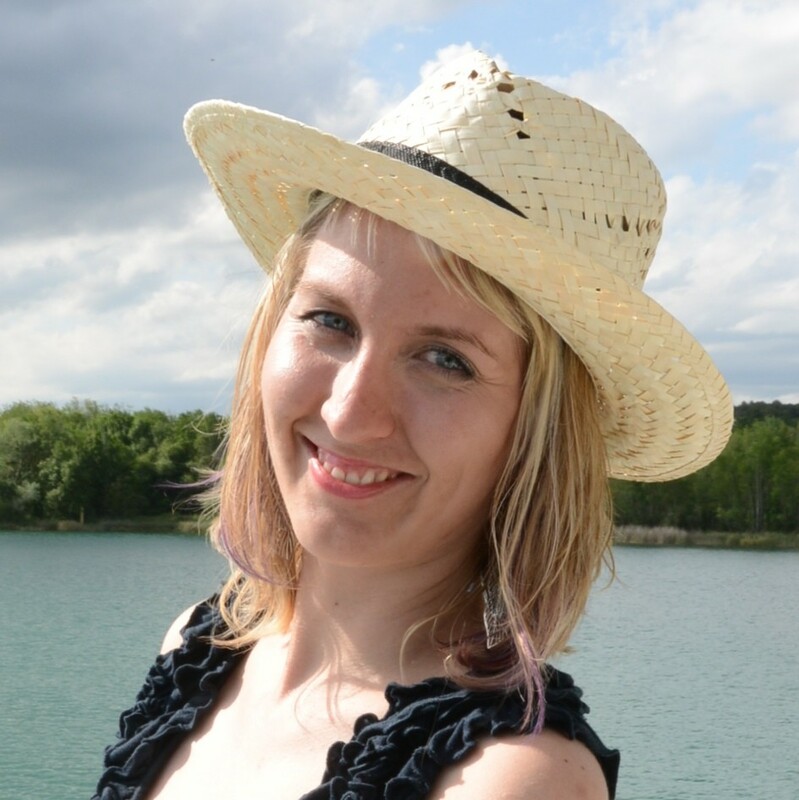 Hi Sherry, I just imagine what would happen here in Czech Republic if I wear a mask instead of makeup. I think people would start panicking! where is the place of the first picture, the little tunnel next to teh cliff on a walkpath. Hi! It’s in Hualien, old road that is closed, not too far from the famous cliffs, about 16 kilometers north from Hualien. I know, it is a bit dangerous. Scooters are fun, anyway! Taiwan seems like such a friendly place! So glad to hear that your wallet and mobile were returned to you. That would not happen here in the US! Thanks for helping promote my country! This is really interesting. Very different from what we have here in India. b) We love driving cars and roads are full of traffic jam and pollution. c) You will not be able to see you wallet even after 1 minute being dropped from your pocket. This is such a fun post, Veru! So many things are similar to China, where I studied. Except the garbage trucks! Btw. do you know of any tourist scams in Taiwan? It sounds like there might be none! You should also mention that the whatever the price is in the store, it is what you pay unlike the U.S. where they only list the price but tack on sales tax when you go to the register. You can now flush toilet paper down the toilet! There are less squat toilets and more western toilets now. I was able to avoid all the squat toilets in Taiwan last year! MRTs are very convenient mode of transportation. Lots of people speak English in Taipei. Love the writing style. Its got great flow, tone & delivery. I was applying to partner with KIWI, and they gave me a link to a widget your using of theirs so I could see it live. I am really glad they did because I think it would be a great addition to my travel blog, but more importantly I now have a new blog to read/follow. Thanks for the post I would have never guessed garbage trucks play Beethoven. I also sent you an email looking forward to your response. Great, is it working for you over time? I’ve never been to Taiwan but a lot of these points I found myself nodding along in reference to other Asian places. The obsession with sorting rubbish and not having public bins reminded me of Japan, and the toilet paper in a bin reminded me of most of Southeast Asia. I loved that the garbage trucks play Beethoven though, I find that really hilarious. Reminds me of the pedestrian crossings in Japan and how they sing at you when you cross. I love Taiwan. However, I am disappointed that there are such strict laws about recreation in the water when there are beautiful lakes and the east coast beaches. I was told i could not use my paddle board in Liyu lake unless i got insurance, a permit and let them know 2 weeks in advance that i was coming iover to us it. We visited our children teaching English in Taiwan in July 2018. What a beautiful country and the most wonderful experience did we have. Returning to our homeland, South Africa made me realize in what bad state our country was. Everything in Taiwan just works…… Will be there again next year. She she Taiwan.